What does EvalYouth want to achieve? This report contains the highlighted experiences of the project “Success Stories from EvalYouth Chapters”, proposed by Task Force 1 “Increase the involvement of Young and Emerging Evaluators (YEE) in Voluntary Organizations of Professional Evaluators (VOPEs) governance, committees and activities”. 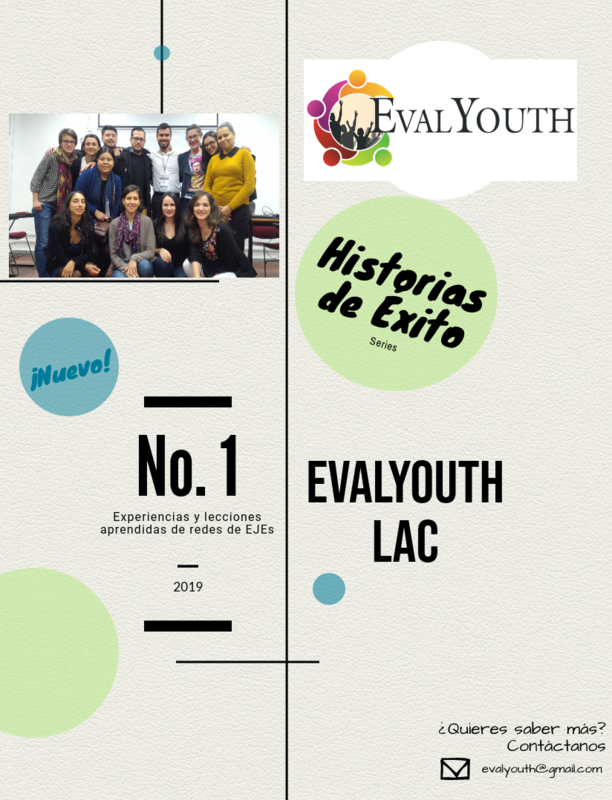 The highlighted experiences that this project focus on are about EvalYouth Latin America and the Caribbean (EY LAC), a chapter of young and emerging evaluators from EvalYouth network that has been active in the region since the beginning of 2016. Based on the lessons learned by EY LAC, this narrative exercise is used to include recommendations for the successful consolidation of other EvalYouth’s regional chapters. How can we increase national, regional, and international capacity to produce high-quality evaluations? How can we advocate for and include youth and young people in the evaluation process? To address both challenges, EvalYouth was formed based on the Global Evaluation Agenda (2016-2020), known as the Eval2020 Agenda, which was developed and agreed upon during the Global Evaluation Week. Global Evaluation Week was held in Kathmandu, Nepal in November 2015, and was the culminating event during the International Year of Evaluation (EvalYear). • To promote Young and Emerging Evaluators (YEE), including young women, to become competent, experienced and well-networked professionals who contribute to evaluation capacity at national, regional and international levels. • To promote the inclusion of Youth and Young People (YYP), including young women, in evaluations conducted at the national, regional and international levels. EvalYouth will achieve these goals through: i) social mobilization of key actors to engage YEE and youth stakeholders, ii) promotion of innovation in evaluation practice and policy, and iii) exchange of learning and knowledge. 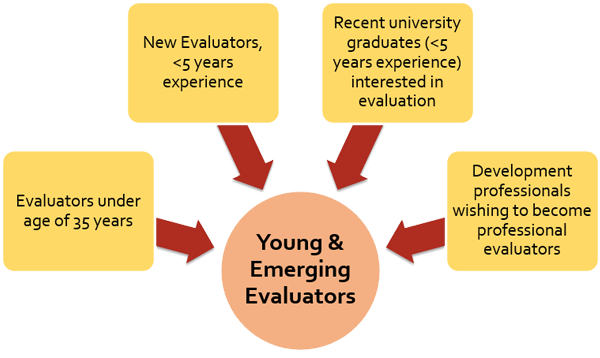 Who are young and emerging evaluators? • Development professionals who have technical knowledge on evaluation and willing to become professional evaluators. 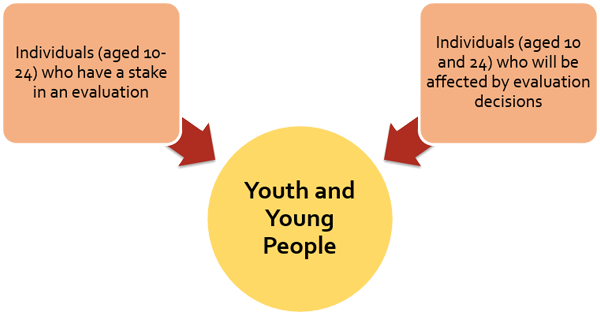 • Individuals between the ages of 10 and 24 who will be affected by evaluation decisions. Who are youth and young people? What principles guide the work? 3. Organization of EvalYouth conferences to share knowledge, learning, and best practices relevant to YEE and YYP, and to enhance YEE involvement with existing international and regional evaluation conferences. • EvalYouth was formally launched at the 2015 Global Evaluation Week at the Parliament of Nepal in Kathmandu. The shaping and launch of EvalYouth was participatory in nature. Specifically, it leveraged existing processes by taking advantage of the existing events and documents organized by many stakeholders within the framework of the International Year of Evaluation. • Check out EvalYouth’s updated concept note (insert hyperlink for concept note). • Three task forces have been established: Task Force 1 – Promoting YEE in VOPE leadership; Task Force 2 – Development of a YEE mentoring program; and Task Force 3 – Organization of EvalYouth conferences. • EvalYouth is looking for more volunteers. If interested, send an email to EvalYouth (evalyouth@gmail.com). WANT TO KNOW MORE? GET INVOLVED? HAVE QUESTIONS? Please see our current concept note for details on our work, including how we are organized.